Sports betting is illegal in California, but anyone who’s willing to break the law should find an immense number of betting opportunities available to them. That’s because the Golden State is the most populous in America, which has led to college sports teams and major league franchises springing up all across its borders. Before you launch your lucrative career as a sports bettor and handicapper, I suggest sitting down with a lawyer and discussing the pros and cons of the hobby/profession. While gamblers aren’t pursued with the same zeal as murderers and counterfeiters, there’s always the chance that you could run afoul of law enforcement (especially if you make sizable wagers). If you’re looking for major league sports, it doesn’t get any better than California. The state’s mild weather and large population combine to make it an attractive location for any league, and they have far more professional franchises than any other part of the United States. The state is home to a ton of professional sports squads – five MLB teams, four in the NBA, four in the NFL, three in the NHL, and three teams that play Major League Soccer. Since California is the most populous state in the nation, you can expect them to have a sizable number of colleges. Of the schools listed above, the most successful athletic programs have traditionally been UCLA, Stanford, UC Berkeley, and USC. California is also notable for producing the most Heisman Trophy winners, with a current total of 13. With so many men’s basketball programs located within the state, California residents are always excited when March rolls around. That’s because it’s time for the Big Dance (aka March Madness), the annual tournament that assembles the 68 best teams in the nation and lets them battle it out in a single-elimination format. While you can’t legally wager on the games within the state, there’s still a popular option that’s widely available to all residents: the NCAA basketball bracket contest. Prior to the start of the tournament, a bracket is released showing all the first-round matchups. Additional bracket spaces are left blank and filled in as one team advances over another. The objective of the contest is to predict the winners all the way to the finals, and those who are most successful can pick up a decent amount of cash from office pools or online sites. Tournament brackets are a legal grey area, but nobody seems interested in clamping down on participation. Millions of dollars change hands through this form of entertainment each year, and it remains a low-risk way to get your gambling fix during the latter stages of the college basketball season. 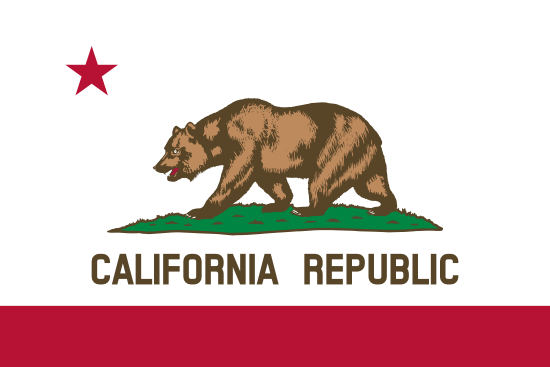 There’s nothing illegal about online gambling in California, especially as far as the average citizen is concerned. The biggest problem is that lots of leading Internet casinos and bookmakers refuse to accept U.S. customers after the Department of Justice conducted raids and arrests following the passage of the Unlawful Internet Gambling Enforcement Act. There are still sports betting sites that are willing to accept American customers. While depositing and withdrawing money from your account can sometimes be a chore, it’s nothing that would be considered insurmountable. My only suggestion is to properly investigate a site before signing up, as there are still some operations that thrive on bilking their customers. • Find a Bookie – Illegal bookies are everywhere, and there’s a high likelihood that you already know someone who uses their services. Be careful, however, as these individuals are far more likely to end up in the crosshairs of a police raid. • Bet with Friends – This is the safest way to conduct wagers, as there’s no paper trail for authorities to follow. Just make sure you can trust your friend, since an unpaid gambling debt can lead to all sorts of trouble. • Drive to Las Vegas – If you absolutely crave live sportsbetting, you can always hop in your car and drive to the neighboring state of Nevada. Las Vegas is the bookmaking capital of the United States, and it only takes 4 hours and 55 minutes to get there from Los Angeles.